UP to eight Sydney fire stations will shut tomorrow to meet the government’s drastic budget cuts – a measure branded potentially fatal by the firefighters’ union. The closures will happen at short-staffed stations. Firefighters across the state were last week briefed by Fire and Rescue NSW management to prepare for the cuts, aimed at shaving $64 million off the budget over the next four years. As many as eight city stations – or 11.4 per cent of the total 70 bases in Sydney – will go “offline” during any one shift, which averages 12 hours. A further two in Newcastle could close every shift. They will happen wherever low staff numbers – due to sick, annual or any other type of leave – take crews below operational efficiency. The firefighters’ union has warned the plan is playing with people’s lives. It is considering strike action and has lodged a dispute in the International Relations Tribunal for tomorrow. “The government’s rolling the dice every day with these cuts,” said Fire Brigade Employees’ Union state secretary Jim Casey. “You can’t do much worse than closing fire stations. Houses will burn and people will be hurt. It’s not a question of if, it’s a question of when.”Firefighters have been told the closures will begin any time between Monday and Wednesday. Previously, stations hit by short staffing would have called in the brigade’s relief corps – who would need to be paid. Under the cost-cutting scheme, now those stations will go offline while their full-time firefighters who are fit to work are diverted to other stations with vacancies. In country areas, if numbers fall below effective crewing levels, relief staff will be replaced by casual firefighters who respond to emergencies via pager – potentially leading to huge blowouts in response times, the union warns. 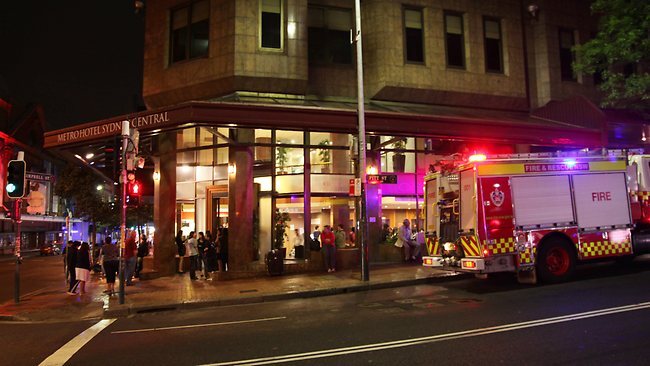 A spokesman for Fire and Rescue NSW said the de partment hopes to resolve the dispute with the union tomorrow. He said the fire service has been effectively taking stations offline for years when there are major emergencies, training or hazard reductions. During Friday morning’s warehouse fire in Wetherill Park, more than 20 crews were called to attend the emergency with “nil impact” to their local community. Fire and Rescue NSW Commissioner Greg Mullins claimed in a letter to the union earlier this month that high rates of absenteeism and overtime were to blame for the budget cuts. But Mr Casey defended the average 118 hours a year of sick leave taken by each firefighter, saying it equated to 10 days of 12-hour shifts.